Searching For New & Resale Condominiums For Sale in Richmond Hill, Ontario Has Never Been So Easy. Get Your Instant Free Access to the Most Updated Condo Listings For Sale In the City of Richmond Hill, Ontario. Are You Interested In a Specific Neighbourhood? Search Richmond Hill Condo Listings For Sale By Your Desired Neighbourhood. Disclaimer By entering my contact information I give my express consent to be contacted by 'Mohini Persaud, GRAPPLING HOME REALTY INC., Brokerage*' and or real estate salespeople on behalf of 'GRAPPLING HOME REALTY INC., Brokerage*' to discuss potential services. Welcome to The Real Estate Website Experience That Will Prepare You For Living in the Greater Toronto Real Estate Area. Here, You Will Get The Benefit of a Knowledgeable & Experienced Homefinder In The Form of A Real Estate Agent Who Knows the Toronto Real Estate Market and The Toronto House Prices To Get You The Best Value For Your Hard-Earned Money. You Will Get the Latest on the Greater Toronto Housing Sector, MLS Listings, Toronto Real Estate News, Toronto Home Prices As Well As Helpful Tips For Buying and Selling Houses, Toronto Condos (and in fact, all GTA Real Estate Information) Essential For a Comprehensive Real Estate Home Buy or Home Sell Result. Mohini Persaud is the Broker of Record and Has Been A Professional Full-Service Real Estate Agent Since 2004 And is Your Best Solution For Your Next Real Estate Transaction, Purchase or Sale, in the Greater Toronto Real Estate Area For Buying or Selling Your Home. The Greater Toronto Real Estate Market Changes Constantly, So, Having An Experienced Realtor Like Mohini in Your Corner To Know The Accurate Greater Toronto Home Prices in the Appropriate Locations for Living In Toronto, Mississauga, Brampton and Surroundings is a Must For Your Family and Friends. No Matter if You Are Buying Brampton Houses, Toronto Condos, Toronto Lofts, Homes In Toronto, Mississauga Homes For Sale, Land For Sale In Brampton....or Any Type of Property In Any Other Part of the GTA Real Estate Area..., Look No Further As You Have Arrived At The Right Place! As Your Real Estate Agent and Homefinder in the Greater Toronto Real Estate Area, Mohini Has Combined Her Awareness of The Greater Toronto Housing Trends With the Greater Toronto Real Estate News to Help You Find The Right Location At The Right Price and Right Time. 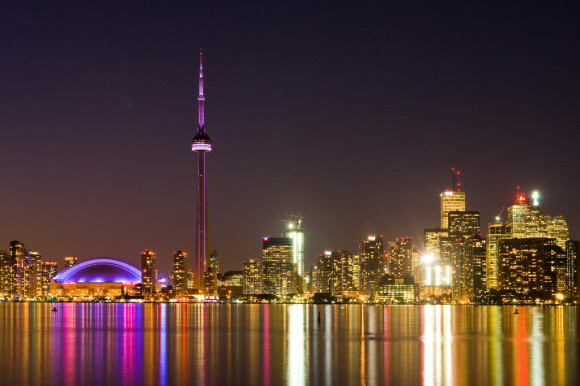 Toronto Housing Is An Intrical Part Of Life For Those In The Greater Toronto Real Estate Area Since It Is Most People's Biggest Investment Today. For This Reason, Mohini Has Adopted A Consultative Approach That Combines The Efficiency of Tools Like The MLS Listings Service, Toronto Real Estate News and Toronto Housing Trends In Order To Educate Consumers About The Toronto Real Estate Market Which Results In Better Consumer Choices Regarding Real Property For Optimal Property Investment Potential. Mohini Has Had Tremendous Success Helping Clients Achieve Their Real Estate Goals In The Greater Toronto Real Estate Area Including Brampton, Mississauga, Milton, Vaughan, Caledon, Georgetown, Orangeville, Shelburne, Grand Valley and the Surrounding Areas. Get An Informative Realtor Working For You Today! In Order To Get a Customized Solution To Your Unique Toronto Housing Needs, Please Feel Free to Browse All of the Tools I Have Built Into My Realty Website To Assist You & Complete the Appropriate Form To Start The Process. This Will Allow Me To Assess What Stage In The Home Buying or Home Selling Process You Are In To Serve You Better. The Most Common Forms Many Clients Find Useful Are Neighbourhood Buzzer and Free Home Evaluation. Find Out What Others Are Saying about Mohini Persaud as a Greater Toronto Real Estate Agent. CHECK OUT MOHINI PERSAUD'S REAL ESTATE REVIEWS ON GOOGLE AND FACEBOOK ABOVE !! Just Click onto the Links. Area Covered: BRAMPTON, MISSISSAUGA, GREATER TORONTO, MILTON, GEORGETOWN, CALEDON, ORANGEVILLE, VAUGHAN, SHELBURNE, GRAND VAWLLEY AND SURROUNDING AREAS.